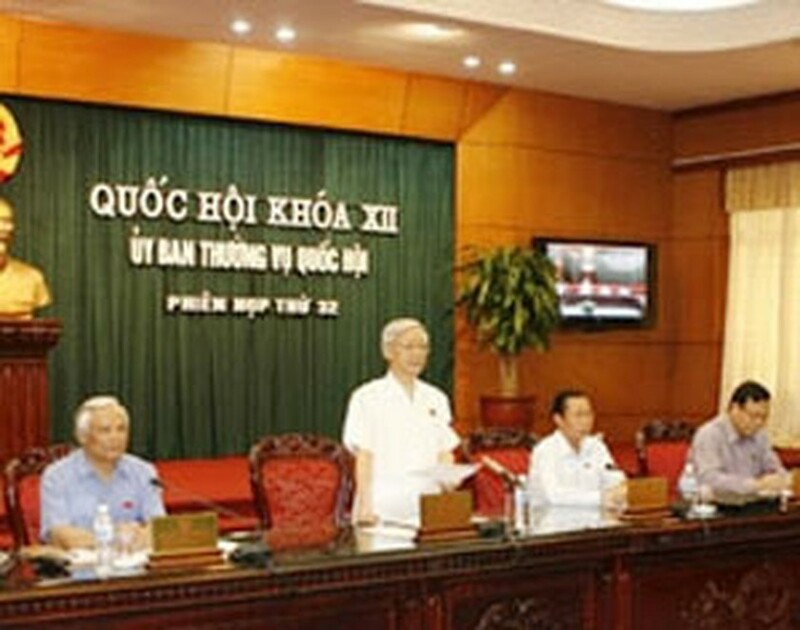 The fact that the express railway project has yet been passed by the National Assembly (NA) does not mean it has been rejected, NA chairman Nguyen Phu Trong confirmed. He made the confirmation at the 32nd session of the NA Standing Committee, which opened in Hanoi July 20 to discuss several bills, review the recent seventh NA session and consider preparations for the next session of the 12th NA. The NA did not pass the US$56-billion express railway project at its seventh session last month because the plans for the project had not been as perfect as expected, but the NA did not turn down it, the NA chairman said. Many committee members said the postponement of passing the project marked a significant democratic progress in the NA’s operation. He said the Government would submit the project to the NA again for reconsideration at a proper time. Yesterday also saw the meeting’s delegates discuss major issues related to the Bill on Civil Servants, which focused on improving civil servants’ rights and interests. During this session, the Committee will also consider some other bills, including those on Administrative Procedures and Environmental Protection Tariffs. They will also offer opinions on amendments to the Inspection Law, the Mineral Law, and the Ordinance on Judge and Judge’s Panel at the Supreme People’s Court. In addition, the Committee will discuss preparations for the eighth session of the 12th NA as well as for the 65th anniversary of NA. At the eighth session, which is slated for October 20, NA deputies will discuss the ultimate supervisory role of the NA over law enforcement and administrative reform in fields that directly effect businesses and citizens, the NA Office said.